Junior co-captain Keith Wright had 19 points and nine rebounds to lead the Crimson to an 82-66 win over Colorado yesterday, the program’s first win over a Big 12 school. 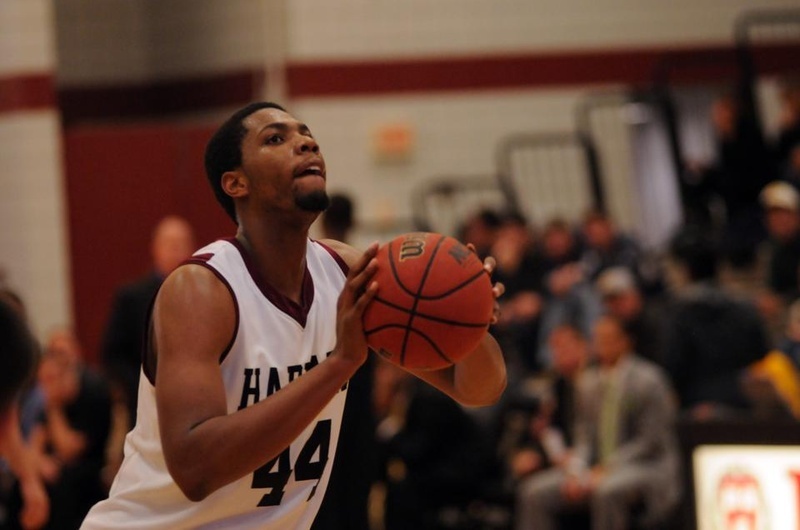 Some unfamiliar faces joined the usual spectators at Lavietes Pavilion yesterday, as over a dozen NBA scouts watched Colorado guards Cory Higgins and Alec Burks take on the Harvard men’s basketball team. But that wasn’t all that was unusual about the matchup. For the first time since 2007, the Crimson hosted a BCS-conference opponent, and for the first time in program history, Harvard defeated a Big 12 team. Behind 19 points and nine rebounds from junior co-captain Keith Wright, the Crimson (4-1) handled the Buffaloes (2-3), never trailing en route to an 82-66 victory. A major focus for Amaker’s squad was clamping down defensively and slowing Colorado’s pair of talented guards—Burks and Higgins—who entered the contest averaging 23 and 18.8 points per game, respectively. While the pair combined for 41 points on the afternoon, Harvard was pleased with its overall defensive effort, limiting the Buffaloes to 38.8 percent shooting from the field while forcing 15 turnovers. The strategy paid off, as the Buffaloes were held to their lowest scoring output of the season. Offensively, the Crimson relied heavily on Wright, running the majority of its sets through the post. The Buffaloes had no answer for the 6’9” forward, who entered the contest as the Ivy League’s second-leading scorer, as Wright had his way in the paint, finishing 8-of-11 from the field. And when Wright faced double teams, the forward was able to successfully find the open man on the perimeter, dishing out a career-high six assists. McNally and sophomore Christian Webster were the major beneficiaries of Wright’s unselfishness, finishing with 17 and 20 points, respectively, on combined 6-of-12 shooting from beyond the arc. McNally played a crucial role in building on Harvard’s nine-point halftime lead, knocking down a pair of treys in the first 2:10 of the second frame to lead the Crimson on a 9-2 run. McNally ignited the Harvard run on the Crimson’s opening possession of the second half, stroking a deep ball from the left corner off a pass from sophomore Brandyn Curry.